The call for Art(ists) on the Verge 9 (AOV9) is now open. AOV9 will take place from March 2017 – April 2018. Art(ists) On the Verge is an intensive, mentor-based fellowship program for 5 Minnesota-based, emerging artists or artist groups working experimentally at the intersection of art, technology, and digital culture with a focus on network-based practices that are interactive and/or participatory. Links to past AOV programs and fellows’ work can be found here. We will be holding open office hours (optional) where you can get feedback on your proposal next Tuesday, December 13 (RSVP here) and Thursday, January 5 (RSVP here), at 6:00pm. Office hours will be held at the Soap Factory, 514 2nd St SE, Minneapolis, 55414. Find out more about application criteria and read the call here. Deadline: Monday, January 16, 2016, 9:30pm, CST. 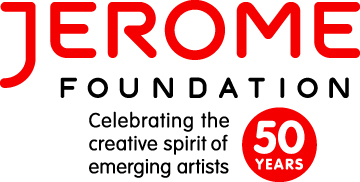 AOV is generously supported by the Jerome Foundation. As you consider your year-end giving, help us meet our goals for Northern Spark in 2017, either through a donation or through advance purchase of tickets to the Northern Spark Launch Party. This year with our partners at West Bank Business Association, African Economic Development Solutions, Asian Economic Development Association, and Aurora St. Anthony Neighborhood Development Corporation, we will be bringing Northern Spark – and you – to the West Bank, Little Africa, Little Mekong, and Rondo neighborhoods along the Green Line, as well as The Commons in Minneapolis, Lowertown Saint Paul, and the Weisman Art Museum. An epic journey awaits, with more than 75 artist projects exploring the effects of climate change and what we can do about them. We have secured generous support from The John S. and James L. Knight Foundation, the Bush Foundation, the Carolyn Foundation, the Minnesota State Arts Board, the Cultural STAR Program, the City of Minneapolis, and from our sponsors, but we are counting on individual support to raise an additional $25,000 and sell 400 tickets to the Launch Party Fundraiser. Our third installment of the Anthropocene Awareness Association, Emergent Ecologies, was characterized by cold beer and warm conversations. Our featured speaker, Eben Kirksey, took his audience on an anecdotal journey to resilient communities in the Costa Rican rainforest, where he conducted his anthropological research in emergent ecologies. Instead of leaning into the doomsday narrative of climate change, Kirksey pointed to a hopeful future where opportunistic plant, animal and human networks will flourish symbiotically. The timing of his talk made the message all the more uplifting to hear. On November 29 we gathered again to listen to Words for a Warming Planet, a poetry reading and discussion with four poets speaking to issues of care for the earth and all its inhabitants. Ahmed Yusuf, Brittany Lynch and Thomas LaBlanc recited works both personal and historic about their cultural connections to climate, nature, humanity and the sacred. Marshall Islands-based poet Kathy Jetnil – Kijiner followed with two powerful pieces and talked about her own pathway to climate awareness that began –and continues– with a fight for her homeland to stay above water. 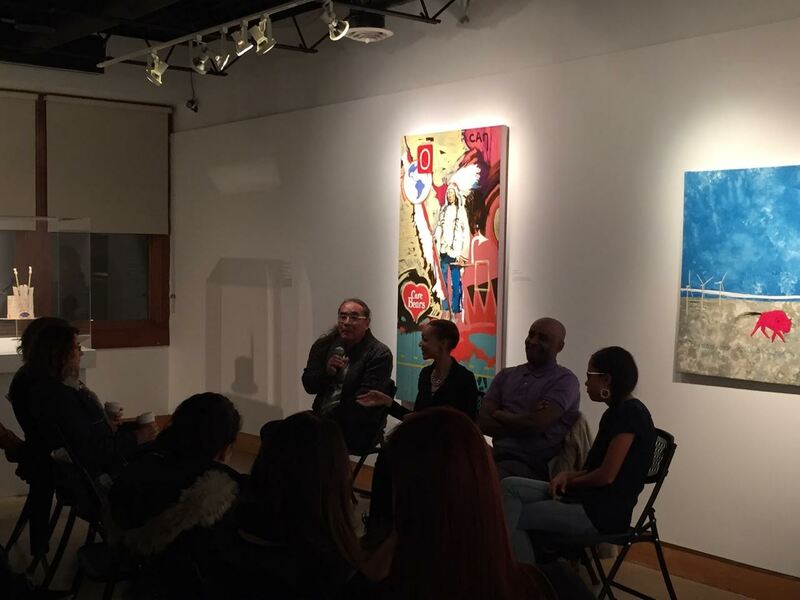 Brittany Lynch moderated an inspiring conversation with the poets and attendees. A huge thanks to our partner Climate Generation for bringing Kathy to town and to All My Relations Gallery for hosting. All AAA memberships sold on Nov 29 are being donated to the water protectors at Standing Rock. We’re working to nail down the details of the next AAA coming your way in early 2017. Stay tuned. 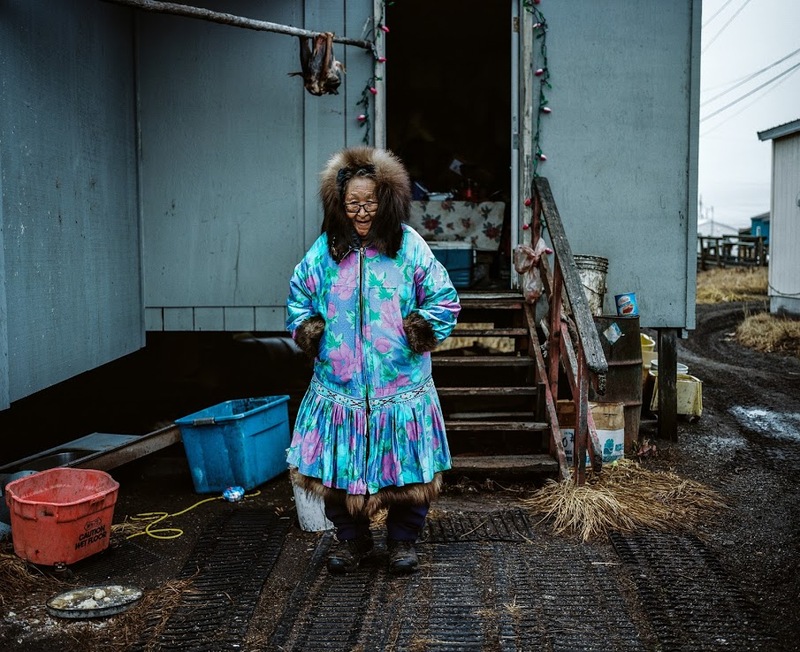 “These images are from a long-term project I’m working on in the village of Kivalina, Alaska, the place where my father-in-law grew up and one of the villages in the Arctic experiencing the harshest consequences of climate change. I decided to start working in this village because of what I haven’t seen covered well on villages like Kivalina–the slow, rich, beauty of this kind of pastoral life. The slow, quiet, non-sensationalist violence of climate change. The postcolonial sheen over beautiful places like this that indicate that this is not the first time their culture has needed to make decisions to survive a powerful force. View more images by photographers from around the world documenting climate change on a local level. 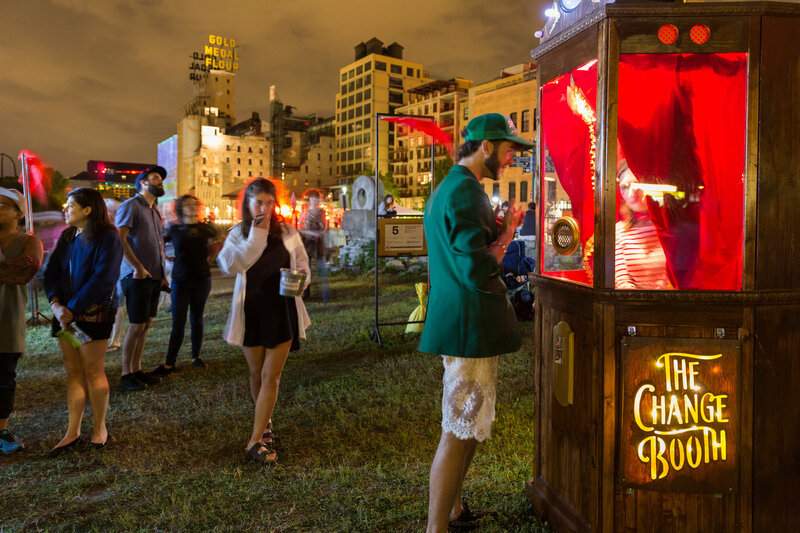 Riley Kane and Mike Haeg, The Change Booth, Northern Spark 2016. Photo: Dusty Hoskovec. Our artist calls for Northern Spark 2017 are open for submissions! Deadlines are swiftly approaching in January – make sure to check out all of our available opportunities and apply soon! On the night of June 10th, the Light Rail Green Line will become the creative spine of the festival, uniting neighborhoods in Minneapolis and Saint Paul under the banner of Climate Chaos | Climate Rising. 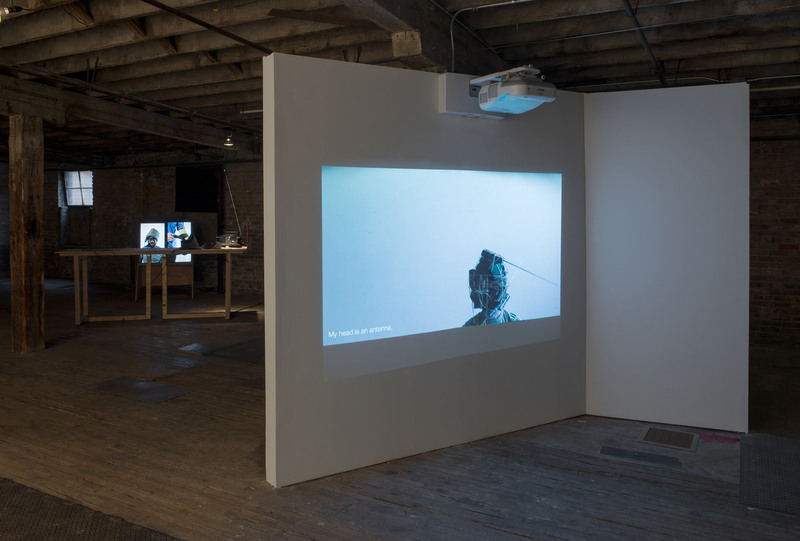 We are now seeking artists proposals for multiple calls. Check out our Artist Opportunities page for the full list. We are looking for applications for two open positions for Northern Spark 2017. 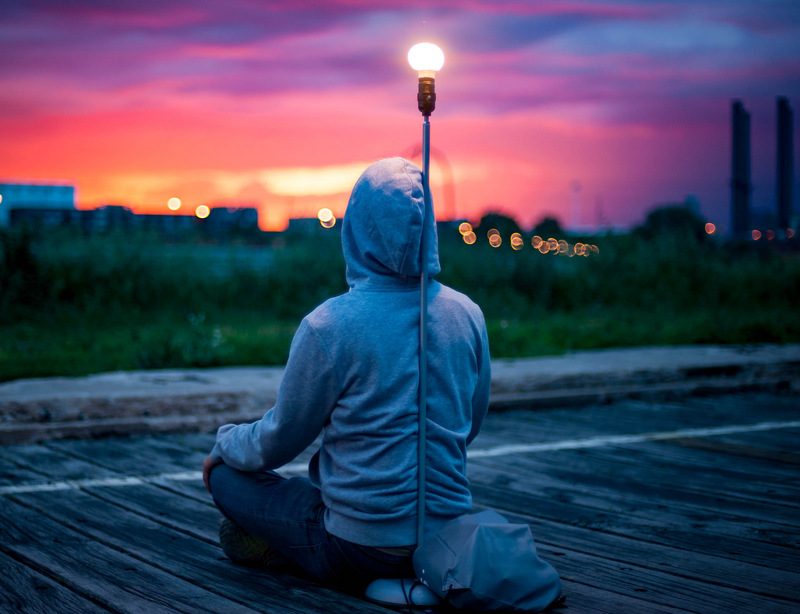 – The Assistant Producer for Northern Spark helps to support the production team, working closely with the Producer and Technical Director and managing crews on the night of the festival. View more information and apply for the Northern Spark Assistant Producer position here. – The Technical Director for Northern Spark is responsible for electricity, A/V, projection, staging, and lighting for the festival. View more information and apply for the Northern Spark Technical Director position here.